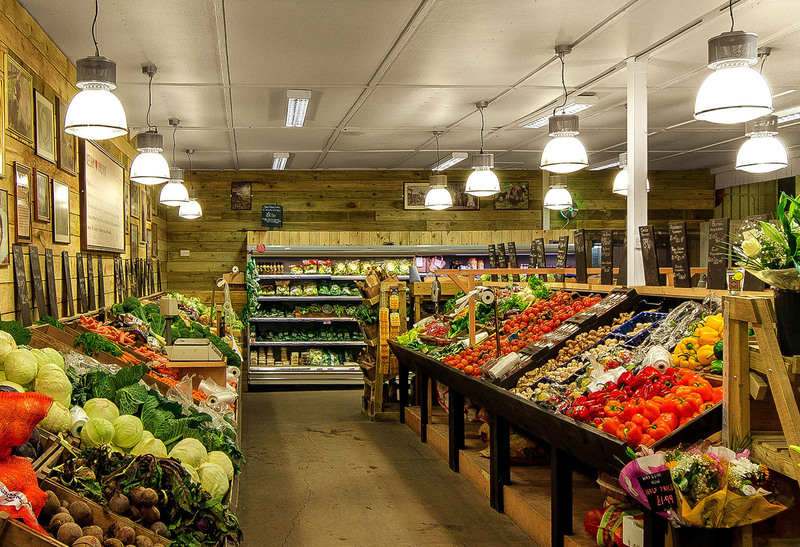 DDF 2×26-42W multi-power CFL pendants were strategically positioned low over the counter displays to maximise illumination of the fresh produce. 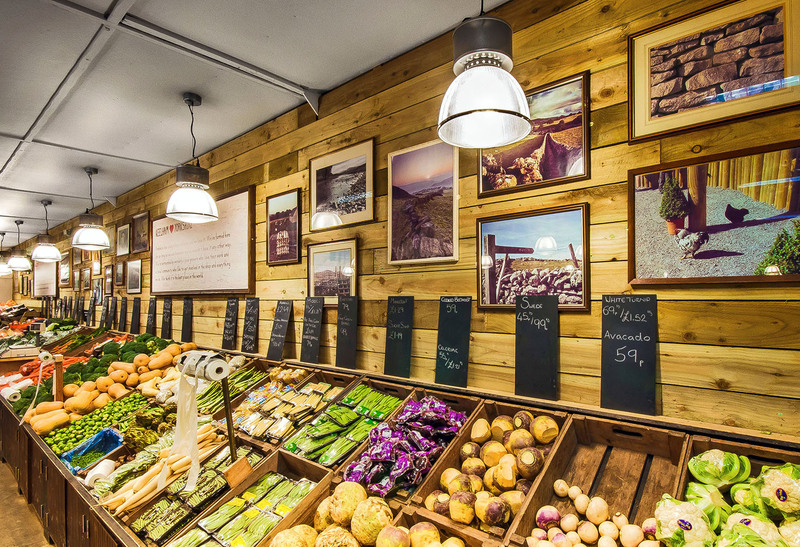 FGI CFL downlights, with IP54 sealed glass, were also selected as they are particularly suitable for food retail and display areas. 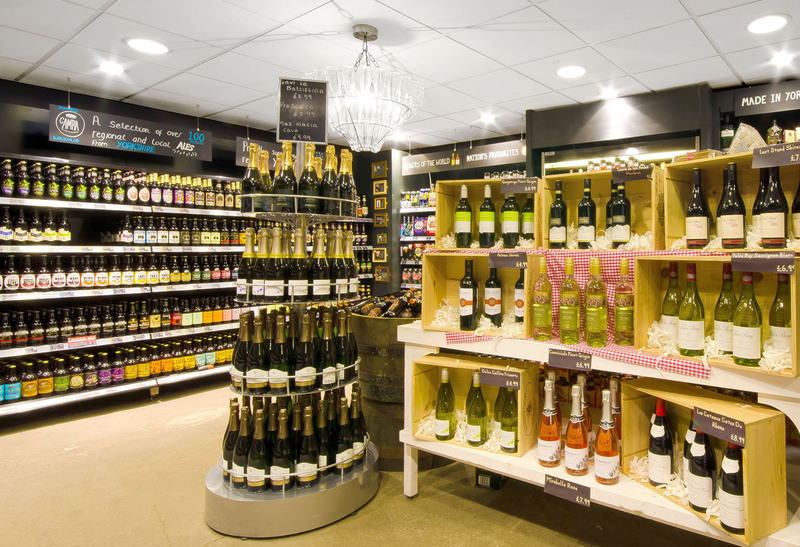 50W EFI HID gimbal display lights illuminate the deli counter and wine area, whilst smaller Syncro FC LED gimbals complemented the scheme over the retail display cabinets. 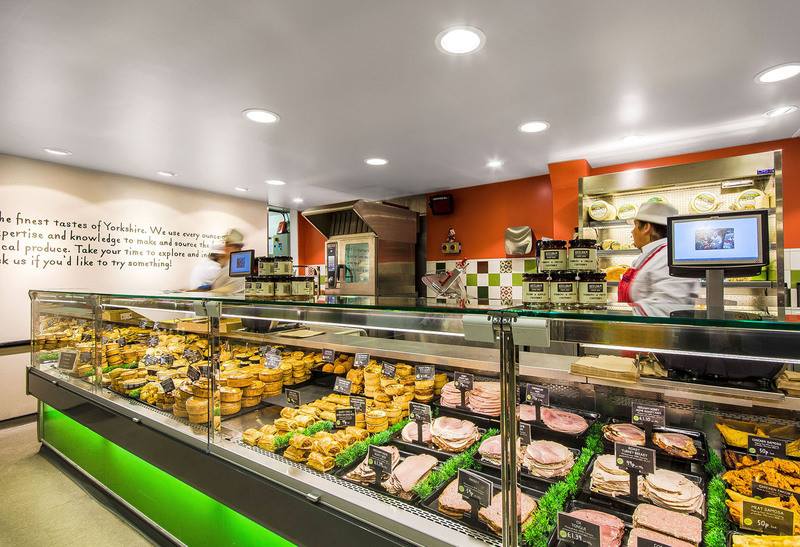 Discreet ILEM emergency lighting was installed in strategic areas. 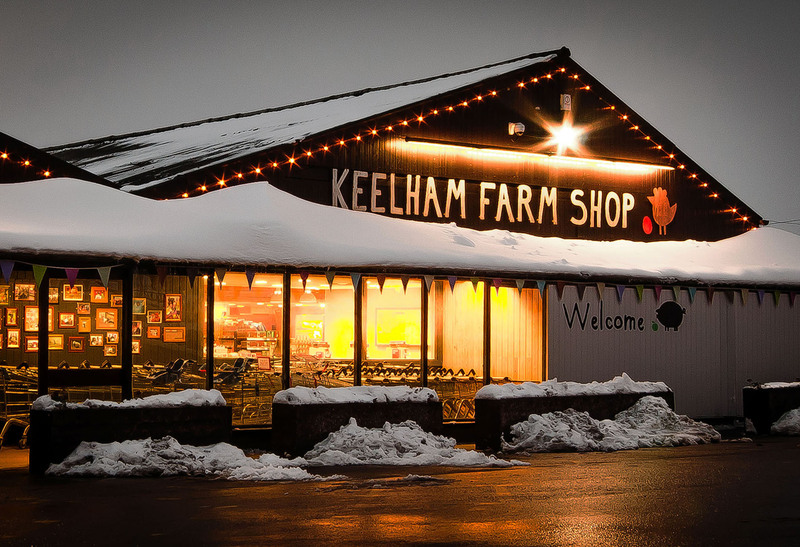 Victoria & James Robertshaw, Owners, Keelham Farm Shop.